“There is a grandeur in this view of life, with its several powers, having been originally breathed by the Creator into a few forms or into one; and that, whilst this planet has gone cycling on according to the fixed laws of gravity, from so simple a beginning endless forms most beautiful and most wonderful have been, and are being evolved” (Charles Darwin, The Origin of Species [Signet Classics, 2003], 507, italics mine). There is a reason why Darwin titled his book The Origin of Species and not The Origin of Life. He thought natural selection explained the diversification of life on earth, but not how it got there in the first place. For its origins, Darwin points to “the Creator” and his “originally breathing” life onto the planet. Well, if that’s not intelligent design, what is? So, according to the logic of some secular voices in our society, shouldn’t we ban The Origin of Species from our public schools? If we allow it to be read, won’t we be pushing creationism onto our students? My point is that if even Darwin has become too “religious” for the classroom, then maybe, just maybe, we should reconsider our criteria. Wonderful post Gav! Great observations. 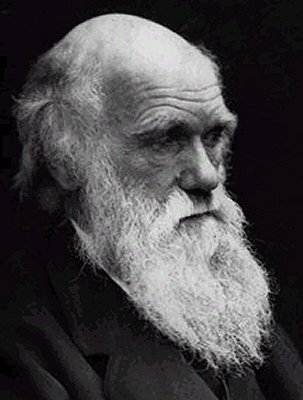 At most Darwin could only be called a theistic evolutionist. And there are none that I’m aware of who accept ID. This is strange to me, since ID should coincide rather well with their beliefs. But Darwin’s views have been co-opted by atheistic naturalism and this view disallows any concept pointing to a creator – or, for that matter, any view that might cast doubt upon the sacred cow of darwinism. Therefore, the theistic evolutionary crowd is loath to accept ID since it would automatically mean being ostracized from the elite. But I also think that if Darwin had been privy to the evidence we have today, such as the complexity of the cell, or the embarrassment of the fossil record, he would likely no longer accept his own theory – or he would realize the need for modification.